With access to the internet, you can easily find ‘Car Removals in Sydney’. However, they don’t all offer the same standards and it’s important to find a reputable service. 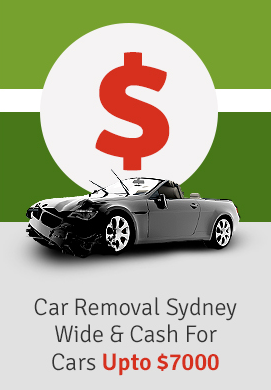 Metro Car Removal Sydney offers a reliable “Car Removal service” all over Sydney. Here’s how to find a Car Removal company in Sydney. Your family and friends are a good starting point when looking for recommendations. It’s become a popular option now to Sell Your Old Car to a Car Removal service so ask around to see who has used a local company. Find out about their experience and whether or not they would recommend using them. Using personal recommendations is the best way to ensure you have a positive experience. If you don’t know anyone that has had experience with Car Removal companies then you can head online. It’s easy to gain access to thousands of listing for Cash for Cars businesses. You can narrow it down by including your local area in your web search. After you’ve done this you can research a handful of these companies by looking at online reviews. There may be feedback on their website or social media pages so you can find out what their customers though. There are certain things you can look for to ensure that you use a legitimate company. Always ask for proof of licensing and insurance. They should also have documentation that enables them to trade and purchase cars as well as perform auto wrecking. Their web page should have an address that actually exists along with a local phone number. Check these out first before considering using their services. In order to be in a position to offer you Cash for your Old Car, they should also be wreckers to permit them to recycle materials and parts. After getting a few quotes you might realise you can get more for your car as scrap than you could sell it privately. The parts and materials are highly valuable in the right hands so shouldn’t ever have to pay to have your car removed. This is something to consider when getting rid of your unwanted vehicle. Your CAR DISPOSAL service should be able to advise what documents you need to provide. This usually includes photo identification along with the title of ownership. Often they will accept the scrap certificate if the title of ownership is not available. Make sure you have completely emptied all the contents out of your car. Take the plates off and ensure your vehicle can be easily accessed. The team at Metro Car Removal Sydney make it easy for you to Get Rid Of Old Car. When looking for car removal services you should seek recommendations from people you know as well as on the internet. Look for the appropriate documentation. They should recycle the parts and materials and offer you a great cash deal for them. Have your paperwork ready to ensure a smooth transaction. Call us at 0403 331 800.